In the last half-century marine biological science has advanced considerably. Research began with the basics — the functioning of sea life processes, links with climate conditions — and was followed by the search for solutions to problems like food production, conservation, and the impacts of things like pollution and climate change. However, most research has concentrated on coastal and offshore water. Though studies in the high seas have been far more limited, the deep sea is nonetheless ever more likely to suffer anthropogenic impacts like nuclear waste dumping and mineral exploration. But it is the spread of fisheries, all the way out to the bottom of the deep sea, that scientists say has had the biggest ecological influence so far — not only on the target fish but on other species through disturbance of habitats and bycatch. Because they do not break the surface, the fact that there are mountains rising from the floor of the deep blue may come as a surprise to those with but basic knowledge of the high seas. Called seamounts, they are one of the major types of romantically termed ‘structural oases’ found in the world’s oceans. These steep geologic features are known to be hotspots of biological diversity and production and are therefore key in the marine food web, attracting commercially-popular migratory fish like tuna, as well as cetaceans, seabirds, sharks and pinnipeds (fin-footed mammals like otters). Seamounts are also home for many crustaceans and deep-water fish species, such as orange roughy or alfonsino, that are very attractive to commercial operators. The Global Census of Marine Life on Seamounts estimates that worldwide there may be as many as 100,000 seamounts over 1,000 meters high, and thousands more that are less than 1000m. Yet few have been studied. That is, except by the fishing sector, which is not keen to share its info. As the easier to catch coastal- and continental shelf-inhabiting fish are mostly depleted while worldwide demand for seafood continues to grow, the industry has developed technologies to fish the high seas very effectively (according to the FAO, nearly two-thirds are overexploited or depleted) and most operators are keen to continue to exploit the rich bounty offered by seamounts. The limited existing research on seamount-associated fauna nonetheless indicates that many species grow and reproduce slowly, making them highly vulnerable to bottom trawling fisheries and over-exploitation. This is precisely why the International Union for Conservation of Nature (IUCN) last year joined with several partners to launch the Seamounts Project that aims build an ecosystem approach to fisheries management — as opposed to a single fishery-focused approach — in the biologically important areas of the southern Indian Ocean that are beyond any nation’s jurisdiction. Despite the region’s importance, the only accord currently operational applies solely to the conservation and management of tuna and tuna-like species. There are no multilaterally agreed conservation measures for high seas bottom fisheries. This does not make them illegal, but they are unregulated and unreported. In 2003, deep-water fishing operators that are members of Southern Indian Ocean Deepwater Fishers Association (SIODFA) began reporting their catches to the association, but this information is not publicly available. When it comes to seamounts specifically, this area is one that remains the “most significant gap in current knowledge of global seamount ecology and biodiversity”. The only large-scale conservation initiative —11 voluntary Benthic Protected Areas — was established by SIODFA in 2006. While IUCN considers SIODFA’s efforts an important step forward, the Seamounts Project aims to fill the need for accurate and independent baseline data against which scientists can evaluate the effectiveness of the BPAs for biodiversity and fisheries conservation, as well as beginning to build effective governance and enforcement that is based on transparent decision-making and publicly available information. To help achieve the project’s first objective — of improving scientific understanding and capacity for monitoring, assessment and analysis of high seas biodiversity and fisheries around seamounts — a diverse team of scientists set sail in November 2009 on a six-week expedition to study six seamounts in the Southwest Indian Ocean Ridge. One year later, 21 scientists and students from seven countries gathered last month at the South African Institute for Aquatic Biodiversity to identify the 7,000 specimens collected during the cruise. 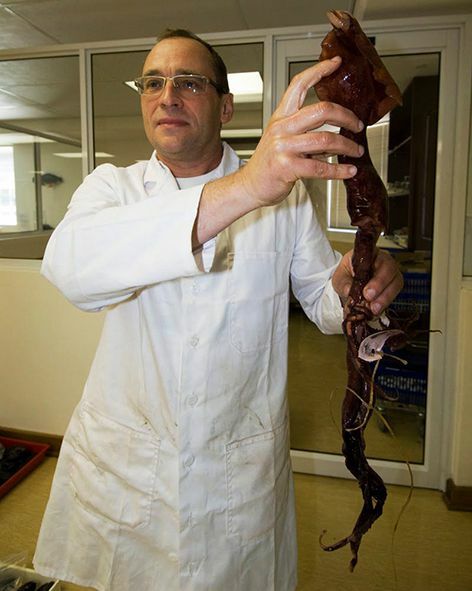 Their careful work was indeed rewarded — Dr. Vladimir Laptikhovsky discovered a new species of squid belonging to the Chiroteuthid group. 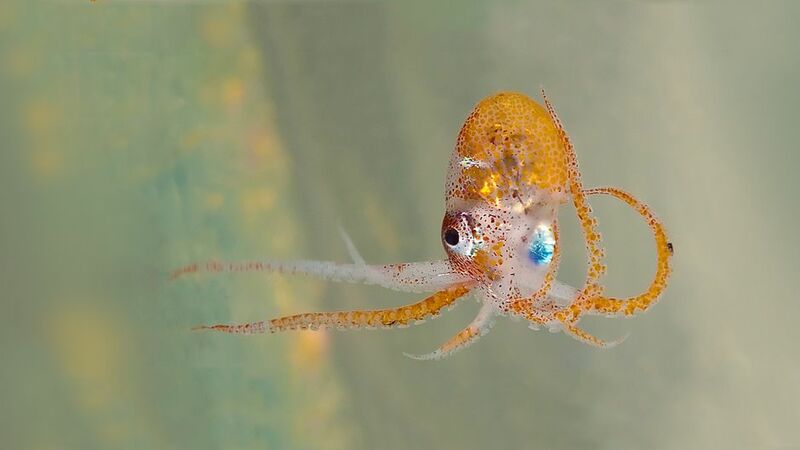 Among the samples identified at the workshop were more than 70 species of squid, which, the team says, represents more than 20% of the global squid biodiversity. The project’s second and final expedition is planned for 2011, when team members will survey the sea bed communities of the seamounts, rather than the life found in the waters above, as they did last year. What the scientists hope to understand is why commercially-important stocks of fish are found in the project area (and therefore elsewhere) and how important the seamounts are to other marine life, including birds and whales. “The true aim of our work is to observe, measure, count and ultimately understand the seamount ecosystems of the southern Indian Ocean so that we can provide a sound scientific basis for their management and conservation,” said the organiser of the recent workshop, Kirsty Kemp. is supported by expertise and funding supplied by partner organizations including the United Nations Development Programme, the Global Environment Facility, Zoological Society of London, the EAF-Nansen project, the Institute of Marine Research, Agulhas and Somali Current Large Marine Ecosystems Project; the Marine Ecology Laboratory, University of Reunion, the African Coelacanth Ecosystem Programme, as well as the Total Foundation and Censeam. Discovering Species in the Mountains Under the Deep Sea by Carol Smith is licensed under a Creative Commons Attribution-NonCommercial-ShareAlike 3.0 Unported License. As we all know pollution and climate change have big impacts to our marine environment and of course the sea floor trawling can destroy the aquatic life habitat that reduce marine propagation.